The new Speed Twin: next generation dynamic capability. In 1938 Triumph introduced the first legendary parallel twin engine, with a bike that would change the face of motorcycling. In a world dominated by single cylinder engines, the original Speed Twin - with its game-changing slim-line powerful British twin - was a revelation to ride. Its smooth dynamic handling, innovative chassis construction, and thrilling responsive feel was so advanced that it became the template for all that followed, and the basis of every Triumph twin to this day. 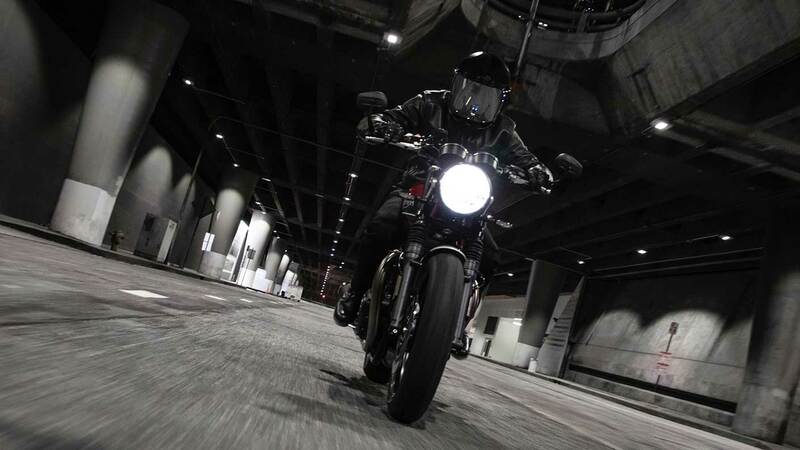 Now, in 2019, this illustrious name has made a celebrated return to Triumph and, just like its predecessor, it’s once again setting a whole new benchmark in dynamic riding capability for its perfect balance of performance, iconic style, rider-focused technology and class-leading handling. With innovations so revolutionary that it set the standard for the motorcycles that followed for decades afterwards, the 1938 Speed Twin was such a quantum leap in accessible performance and reliability that it literally changed the world of motorcycling. The original Speed Twin brought such improved levels of performance and easy rideability to the average biker that it shifted the perception of what motorcycling was all about, from being merely transportation to a passionate pastime of choice for motorcycle thrill seekers, in essence this was the first “riders’ bike”. With the all-new 2019 Speed Twin this legendary name returns to the Triumph line up with a specification and advanced roadster handling set-up designed to set a whole new standard in the modern classic motorcycle world. 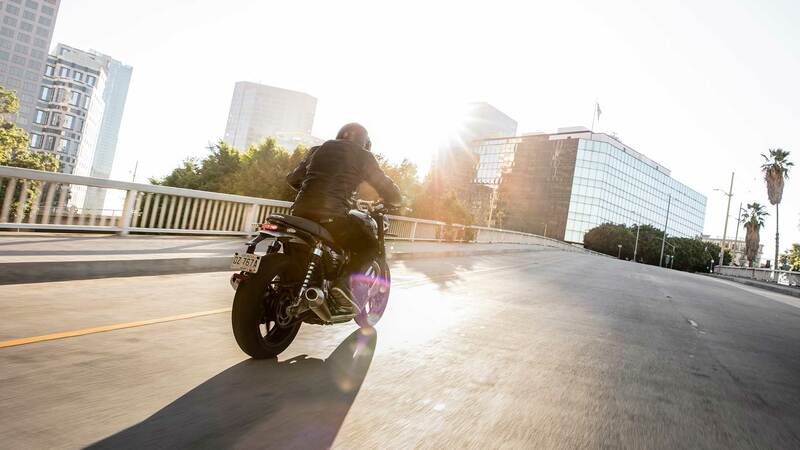 The all-new Speed Twin is a modern classic performance icon, delivering a new category benchmark in dynamic agile roadster handling for a confidence-inspiring ride with a totally intuitive and accessible feel. 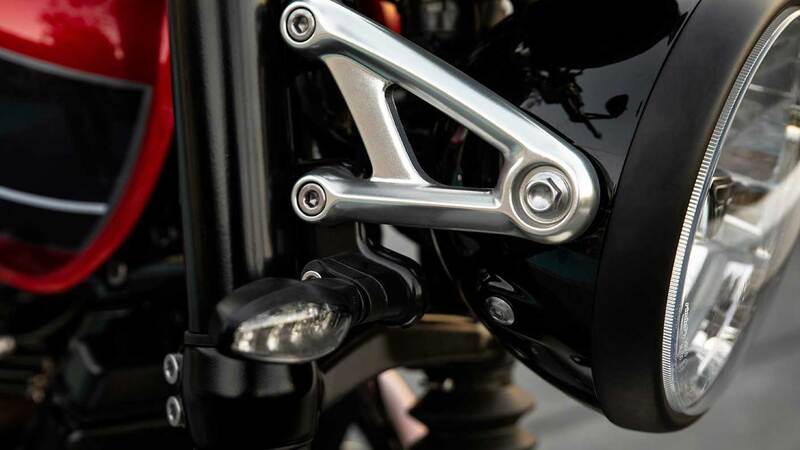 Its dedicated chassis and new suspension set-up is unique to the Speed Twin, while its high specification Brembo brakes, ABS and switchable traction control, riding modes and comfortable engaged riding position all combine to make this the first of its kind in the modern classic world. Just like its iconic namesake it’s been designed to be a modern classic “riders’ bike”, built to be as precise, agile and dynamic when ridden hard as it is truly accessible and easy to manage on every ride. 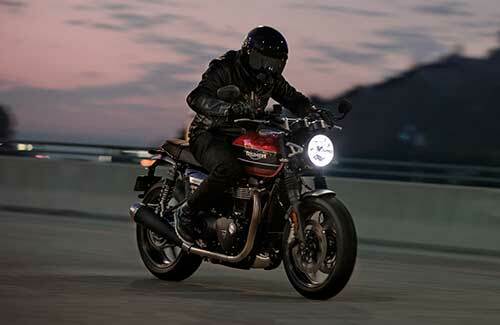 All set up for breath-taking performance, the Speed Twin is powered by an updated version of the celebrated Bonneville high power 1200cc engine with the same thrilling tune as the Thruxton; which means exhilarating torque delivery right from the start and up through the entire rev range. 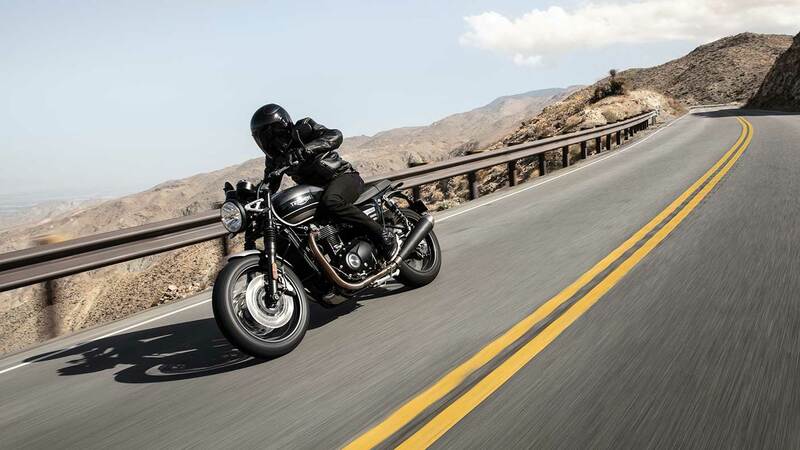 To complement its engine performance, an incredible distinctively throaty British twin exhaust note, delivered by eye-catching new twin black megaphone upswept sports silencers, is the soundtrack to your Speed Twin ride. 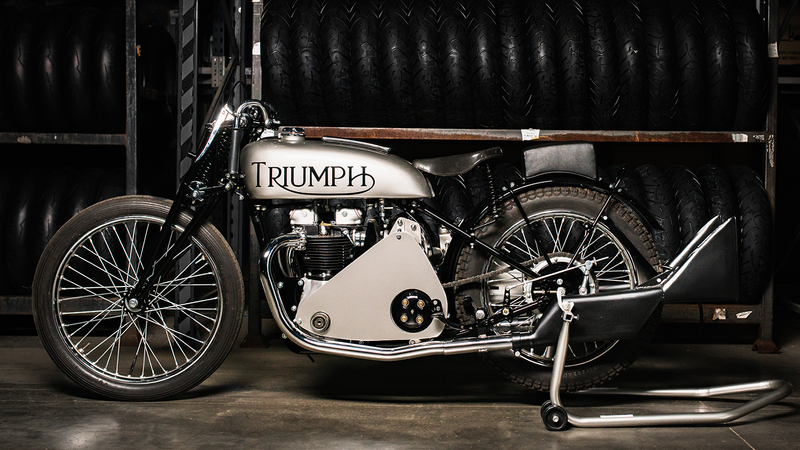 The original game-changing 1938 Speed Twin’s twin engine and smooth dynamic handling changed the face of motorcycling. Now there’s a new Speed Twin and once again it’s setting a new benchmark for how a custom roadster should ride and feel. To complement its top quality finish and detailing, over 80 dedicated custom accessories give you the opportunity to add extra touches, enhance your Speed Twin’s style and capability and make this incredible ride your own.